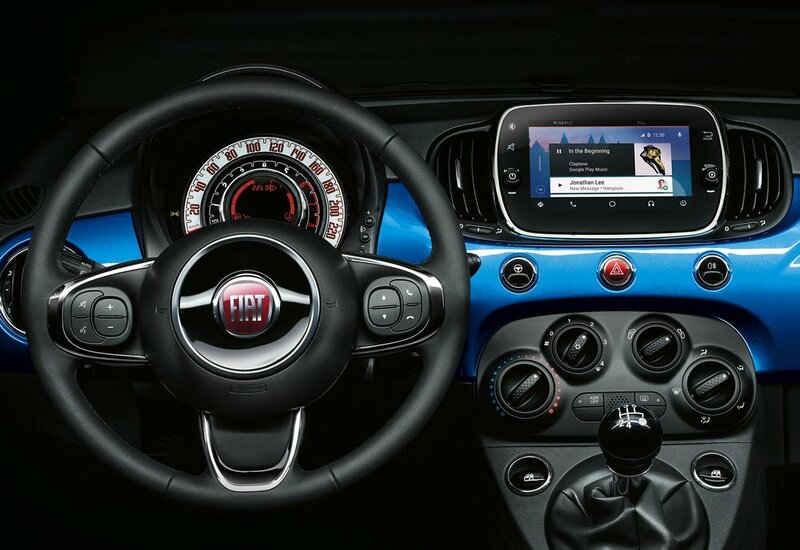 Order books have opened for the new 500 Mirror edition – the first version of Fiat’s retro-styled city car to feature Apple CarPlay and Android Auto. 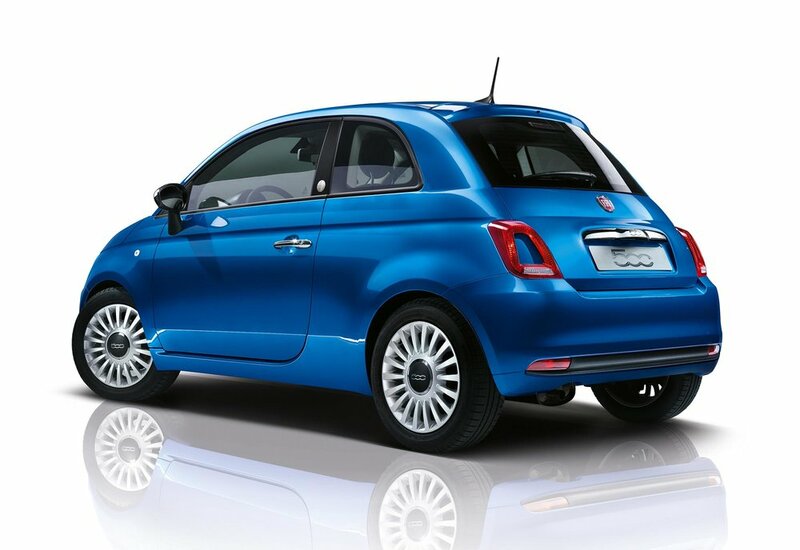 The Fiat 500 Mirror is available in a choice of five exterior colours, including Electronica Blue, and features chrome finished door mirror covers, a brushed aluminium “Mirror” badge on the B pillar and 14-inch wheels with chrome finished wheel covers (15-inch alloys are an extra-cost option). Standard equipment is extended to include a speed limiter, integrated controls on the leather steering wheel and Uconnect 7-inch HD LIVE touchscreen with Bluetooth, USB-AUX IN ports and Apple CarPlay and Android Auto. 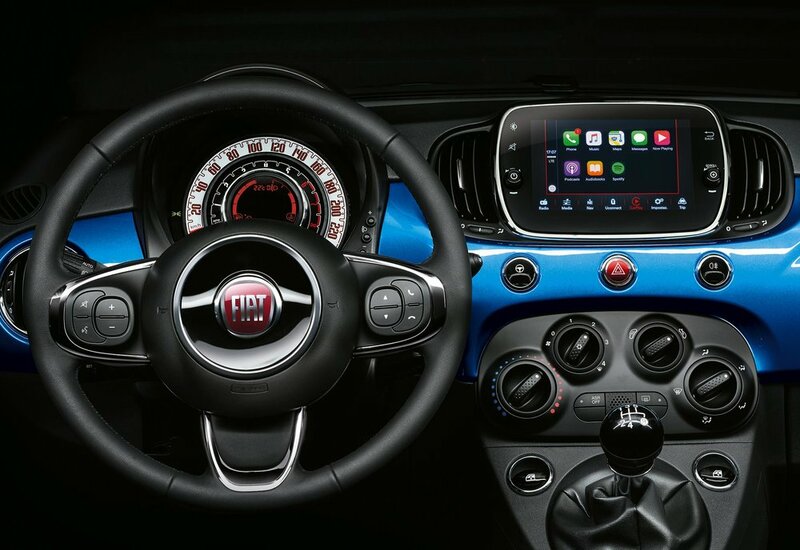 The introduction of Apple CarPlay and Android Auto means that users can access the main applications of their smartphones directly on the 7-inch screen of the Uconnect system. Apple CarPlay enables iPhone users to access Apple Maps, Apple Music, messages, phone and more with Siri or the Uconnect touchscreen, while Android Auto integration also allows drivers to manage the compatible content and features on their device directly from the integrated touch screen or using the system’s vocal commands. The new 500 Mirror is available as both a hatchback and a convertible, with the 1.2-litre 69hp petrol engine which returns fuel consumption of 60.1mpg on the combined cycle and emits 110g/km of CO2. When combined with the Dualogic gearbox, the mpg increases to 62.8mpg on the combined cycle and the CO2 emissions drop to 105g/km. 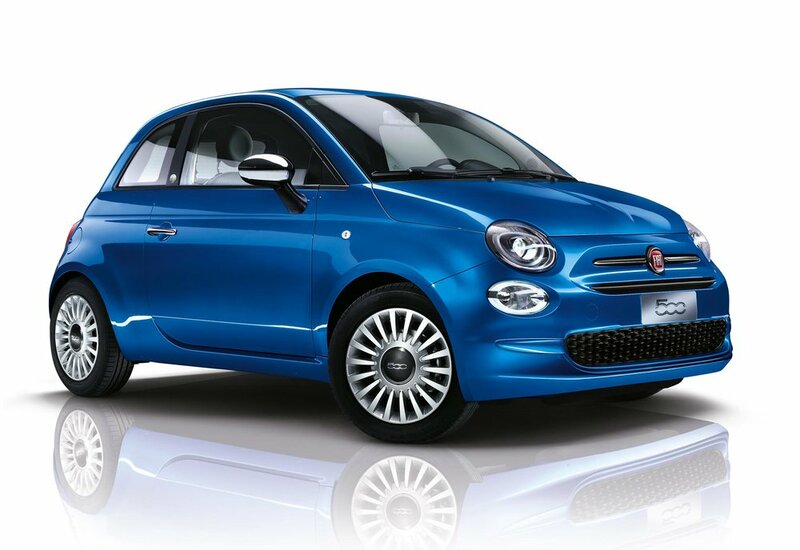 The Fiat 500 Mirror is now available to order with a starting price of £12,515 on-the-road.